Is fumbling with your keys in the dark driving you crazy ? 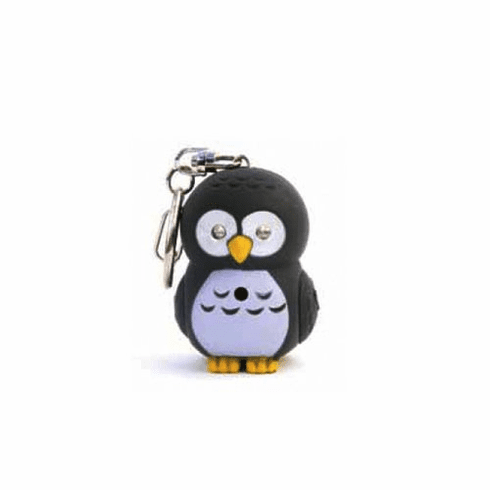 Don't worry, this cute Hooting Owl Key chain and Flashlight is here to help. Shining a bright LED light and accompanied by fun "hoot, hoot" sounds, this clever little owl helps you locate the right key, door locks and lost objects in the dark, with the push of a button. Great for glove compartments, dark hallways and to keep in your handbag for emergencies. A fun safety accessory that makes a great gift !